Could a Netanyahu loss in Israeli Elections change Everything? Israeli polling is suggesting that Binyamin Netanyahu’s party might get only 21 seats or less in the 120-seat Israeli parliament, with his rivals, the Zionist Union, getting 24 or 25. There is even the possibility of the gap between the two widening and Netanyahu doing even worse. The party that gets the most seats will have the opportunity to try to put together a government coalition of 61 seats or more– a majority that can survive a vote of no confidence. Although Netanyahu tries to make the issue far-away Iran, which is bogged down in Iraq now, the Israeli public is on the whole not buying his scare-mongering. Economic issues like high rents and a growing wealth gap and undue influence of billionaires such as Sheldon Adelson on the Likud Part of Netanyahu all loom larger as issues than does Tehran. The Palestinian-Israeli bloc, made up of what the Israelis call “Arab Israeli” parties and the Communist Party, now looks as though it could be the third biggest party. 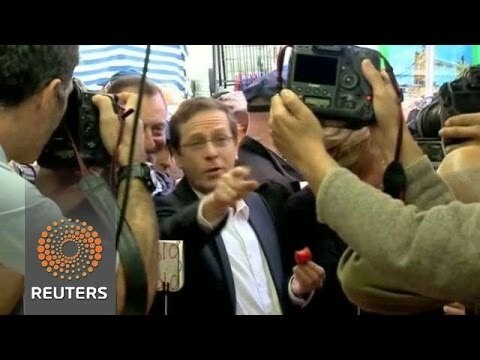 If the Palestinian-Israelis, who are 20% of the population, are able to do that well, they could well decide to back the Zionist Union of Isaac Herzog and Tzipi Livni, bringing the latter in striking distance of the 61 seats they need. Netanyahu is portraying this outcome as disastrous for Israeli security. But such a government might well be willing to settle the Palestine issue with Secretary of State John Kerry and the Palestine Authority, pulling Israel back from the brink of declining into full Apartheid and international isolation. Livni has said she’d be willing to use police to remove some Israeli squatters from the Palestinian West Bank. Of course, that is a thorny and intractable problem and the hundreds of thousands of Israeli squatters are a powerful lobby against peace, so there is no guarantee a new government can have more success than the old. While Livni is no liberal (she would rotate the prime ministership with Herzog if they won), and will watch the negotiations with Iran like a hawk, she is in the end a pragmatist, and Obama would probably see an end to Israeli direct interference in his negotiations with Iran. On the other hand, if Netanyahu wins, likely he will continue policies that make it unlikely for Israel to survive another half century in the region. Israel’s economy is fragile and a third of its trade is with Europe, with which Israel also has extensive technology transfer. Growing European boycotts over the Israeli scuttling of the peace process and determined colonization of the West Bank will begin to bite.